The harvest season is currently still underway in Argentina, Chile, South Africa, Australia and New Zealand. 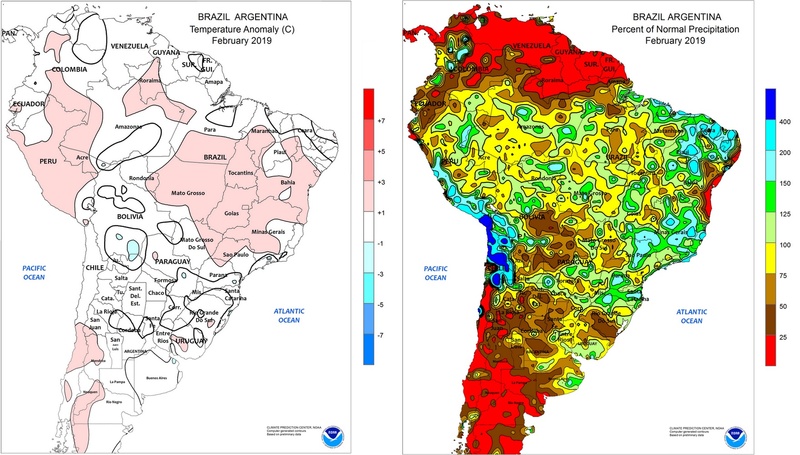 In South America, February's temperatures were within usual ranges, or slightly above seasonal averages, in a context that is moderately to noticeably drier than usual, particularly in the Chilean production regions. 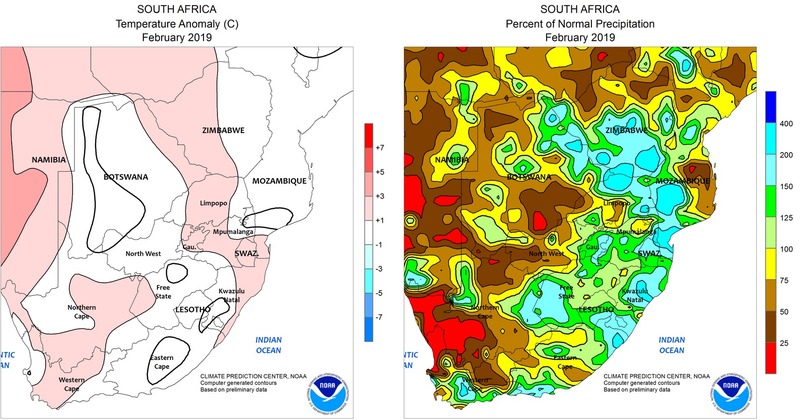 In southern Africa (South Africa, Zimbabwe), weather conditions in February were slightly warmer than usual, and rainfall remained close or very slightly above normal seasonal levels. In Australia and New Zealand, rainfall has been close to the seasonal averages, with normal temperatures. 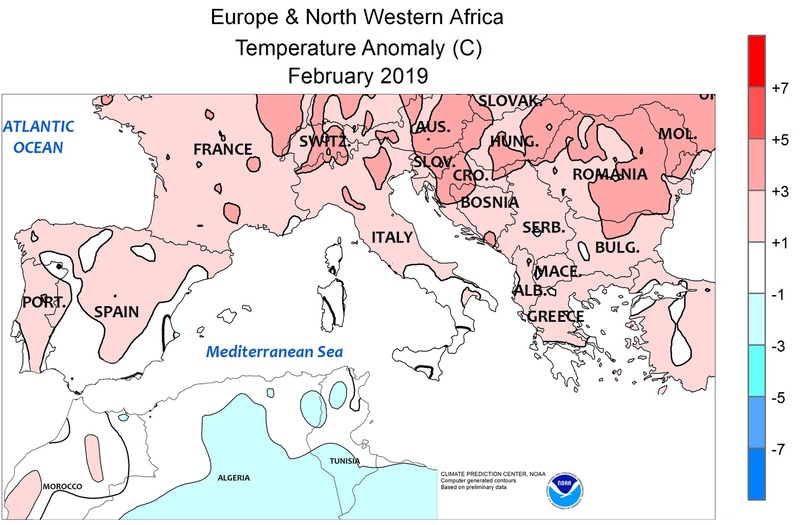 In the northern part of the Mediterranean, temperatures in February were slightly higher than seasonal averages in most of the growing regions, from Portugal to the North of Spain and the South of France, in the North and in the central regions of Italy, in the North of Greece and in western Turkey. Average conditions in Extremadura in the extreme southern part of Italy and in the Peloponnese seem to have been closer to usual temperatures. Noticeably higher temperatures on average have been recorded in the South of Emilia Romagna, in Lombardy, in Veneto and in the more northern production regions of Europe (Bulgaria, Slovenia, Hungary, Poland). 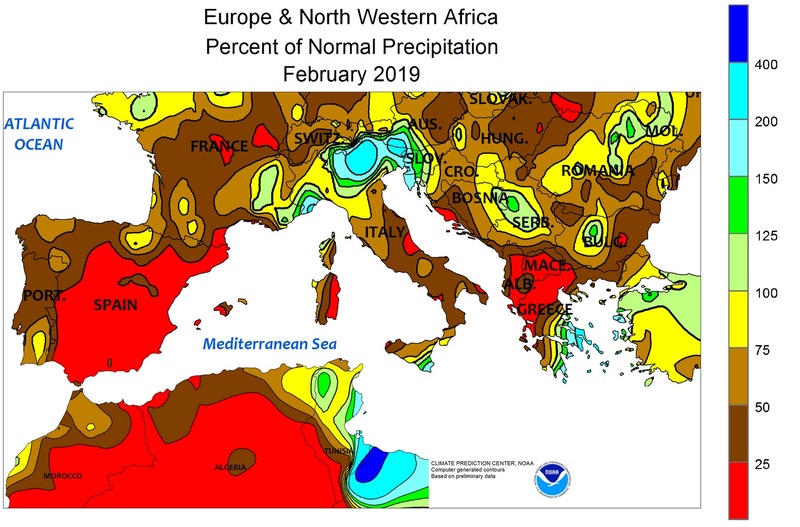 As for rainfall, the month of February has been generally drier than usual for the season, more specifically in Spain, in the North of Greece and at times in the central region of Italy. Rain has also been largely below usual levels in Portugal, in the North of Spain and in southern France, close to the Adriatic shores of Italy and in the western part of the Peloponnese. 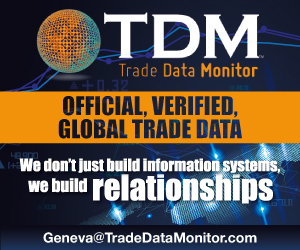 The Italian provinces of Emilia Romagna and Lombardy have recorded rainfall that is close to seasonal averages. 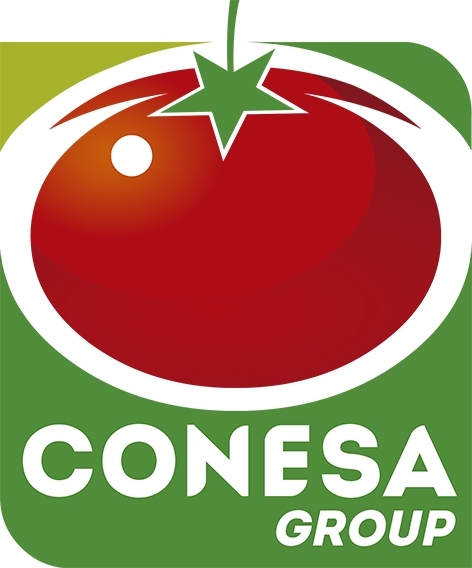 In Spain, according to official records, the water situation in tomato growing regions does not seem to be a cause for concern. 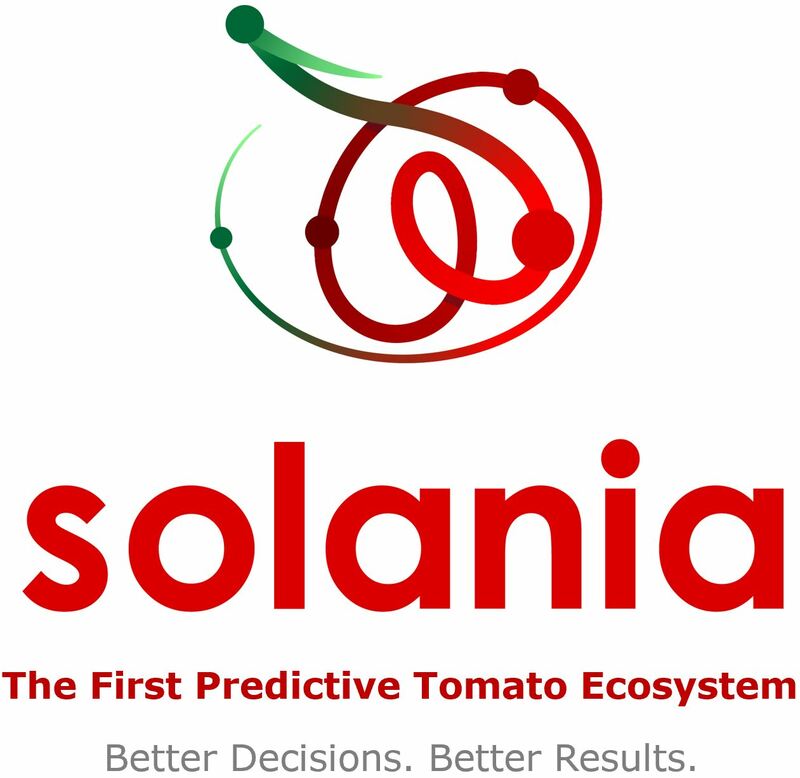 In Portugal, almost two-thirds of the country, including the tomato growing regions, are currently classed as suffering from "moderate drought". In Italy, the northern parts of the country are currently undergoing worrying circumstances. Several big rivers (Enza, Secchia, Reno) and their tributaries are suffering from early and severe water shortages. The levels of the lakes in Lombardy are often 50% below normal and the quantities of water stored in the form of snow are in the best of cases equal – and sometimes slightly below – average levels, notably due to the very high temperatures recorded in February. In this context, the Coldiretti organization recently stated that "the general situation in northern Italy seems to be worse than in 2017." The situation is radically different in the South of Italy, where water reserves are far greater in the vast majority of cases to what they were at the same date in 2018. 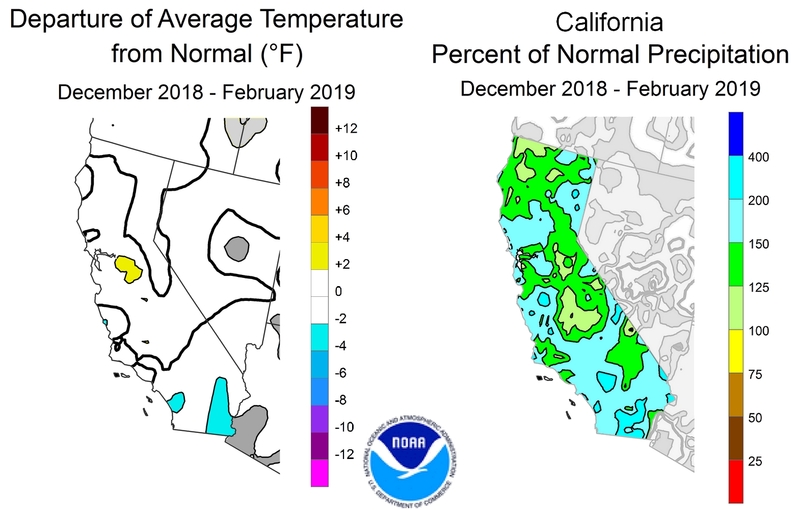 In California, temperatures over the past quarter have been normal, if not slightly above seasonal averages in the regions between Stockton and Merced. Rainfall, as already mentioned in previous articles, has been more plentiful (at times excessively so) to seasonal averages, and as of 28 March, only 6.5% of California's surfaces (mostly close to the Oregon border in the North and to Mexico in the South) were still recording abnormal drought (which is the most moderate degree on the drought evaluation scale). 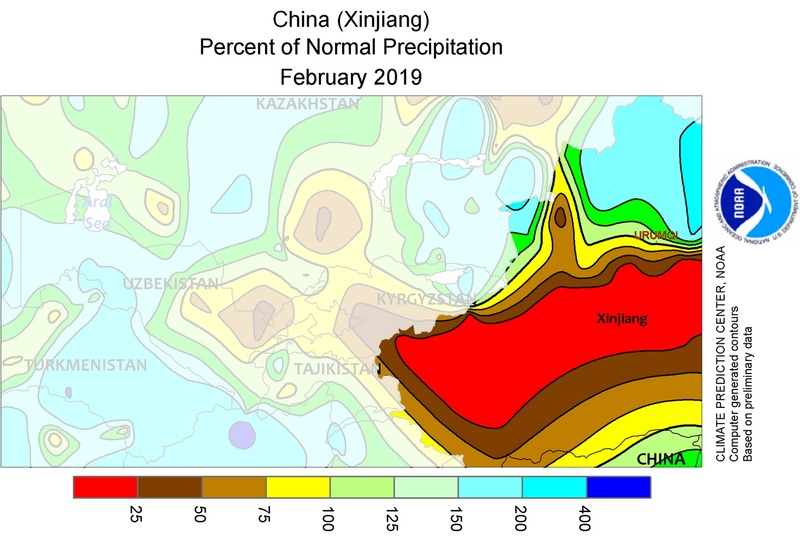 This situation is so unusual that the Californian press has been explaining that "Thanks to a wet winter across the state, the entirety of California is free of drought for the first time since 2011, according to the U.S. Drought Monitor’s update." 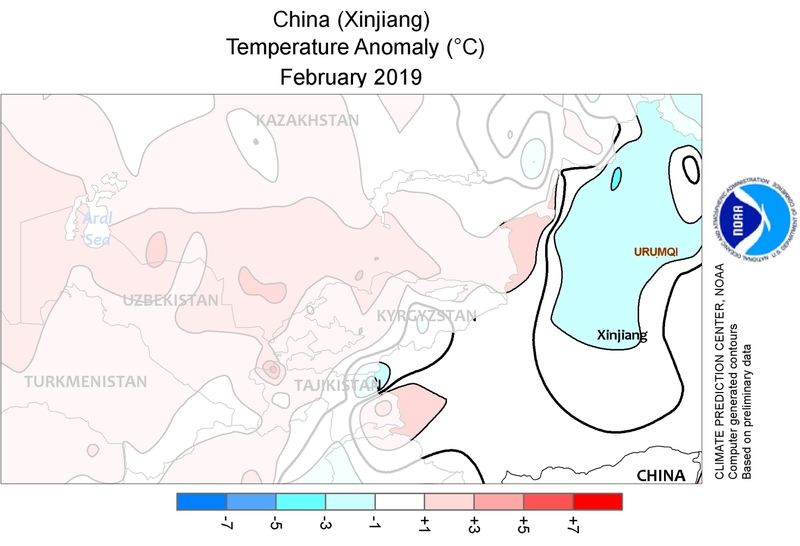 In China, February's temperatures in the areas of production located in the Xinjiang region have been slightly lower than normal, with rainfall that has been noticeably more plentiful than usual for the season.